Plenty of numbers stuck out after the Syracuse Crunch topped the Wikes-Barre Scranton Penguins 4-0 at the Onondaga County War Memorial Saturday. The night began with 1,286 teddy bears thrown on the ice after Brett Connolly opened the scoring, the Crunch's power play followed by converting for two goals, and Syracuse goalie Dustin Tokarski finished with 29 saves for his first shutout of the season. It has been stressed to Brett Connolly that he needs to drive to the net. 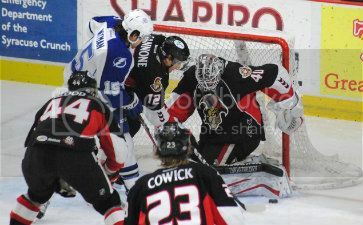 The 20-year-old Syracuse Crunch forward followed through against the Binghamton Senators Wednesday at the Onondaga County War Memorial, potting a pair of goals in the Crunch's 4-3 win. "Coach has been all over me to do that," Connolly said. "That's where I've been scoring all my goals." Initially thought to have sustained a cracked sternum, Brett Connolly found out earlier this week that it was just a contusion. While the injury made it hurt for him to breathe this week, the Syracuse Crunch forward was determined to play against the Hamilton Bulldogs at the Onondaga County War Memorial Friday. "Right now, it's just pain tolerance," Connolly said. "It's going to take a lot to keep me out of the lineup." 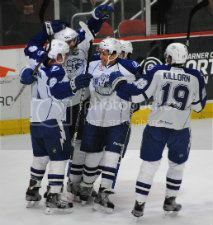 Connolly played through the pain, registering a pair of points - including a 5-on-3 power play goal seven minutes into the game that stood up as the game-winner - as the Crunch beat the Bulldogs, 5-1. JT Brown described his team as having a good feeling going into the first intermission Saturday. 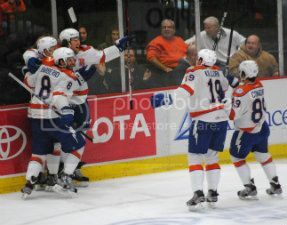 Leading 1-0 over the Adirondack Phantoms, it only got better for the Syracuse Crunch, who scored four times in the first 12 minutes of the second period en route to a 5-2 victory -- their second straight -- at the Onondaga County War Memorial Saturday. "Our team has been playing well the past few games, and that's just the kind of thing we needed," Brown said. "We needed to put together a few good games to get ourselves rolling."